It's almost Easter!!! That means Easter egg hunting! I typically don't like the over-hyped, commercial holidays that we tend to celebrate here in the US (Valentine's Day is a prime example) but I'll be the first to admit that I love Easter. I think it's because we get to make fun stuff (I also love carving the pumpkins at Halloween) and eat tons of teeth-rotting candy. Yum! Entertainment purposes aside, I see little resemblance between today's commercial frenzy and the original purpose of the holiday in the lives of most Americans. I think it is interesting how Easter has morphed from a strictly religious holiday (the Resurrection of Jesus, with close ties to the Jewish Passover and hints of pagan overtones) to a holiday that, for many children, is all about candy, the easter bunny, and eggs. 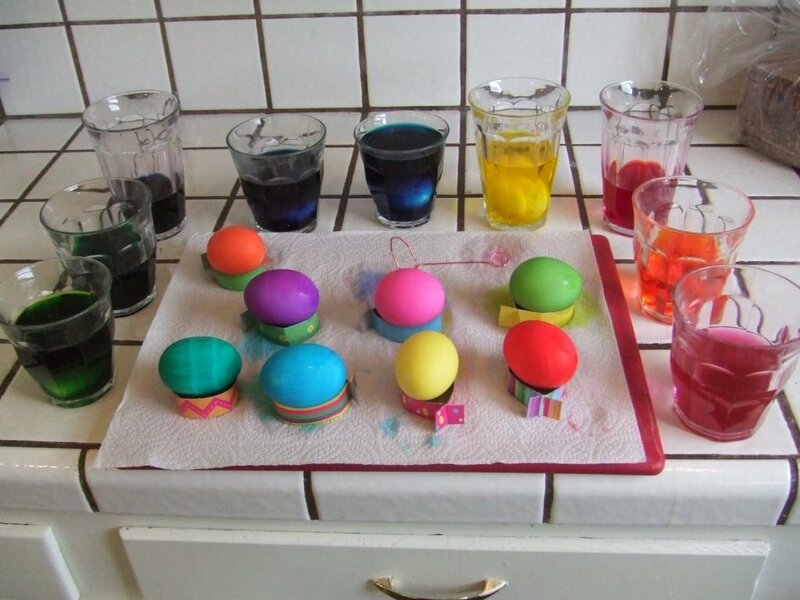 And, I'll freely admit, that I like the eggs and candy just as much as the next person. You know, it�s funny; I think the religious celebration with which I am most comfortable is Passover, despite the fact that I�m not Jewish and that I am more familiar with Christian teachings (I am a product of Catholic school and the nuns were most zealous in their attempt to drill the Bible into our heads. [Thank you Sister Rosemary]). When I was little, we would annually join with close (Jewish) friends to remember the flight of the children of Israel from Egypt. I think I liked the fact that everyone, especially the children, were encouraged to participate and learn the stories. And, as children, we were in charge of hiding the afikoman and demanding small gifts in return for its safe delivery back to the table. As the littlest always asks: Why is this night different from all other nights? For me, it was a great time with friends, family, good food and a little bit of history sprinkled in for good measure.